Rev. Kingsley Infeanyi Albert is the General Overseer of Flames Family Church (FFC) and the present chairman of Aiyetoro Pentecostal Fellowship of Nigeria (PFN) chapter. He was born in 1973 to a humble family with intellectual integrity. As a young man growing up, he had several challenges that propelled him to excel in his divine calling. Rev. Kingsley Albert started Flames Family church as an outreach Centre which later became a ministry through God's direction. The concrete definition of Flames Family Church shows that the ministry is all about love and total caring for members without sentiments. Rev Kingsley Albert had a successful educational background from the primary level to University level. As a humble preacher to the core, he loves caring for his fellow ministers of God. Though his ministerial calling started roughly in a slum city of Ajegunle in Ajeromi- Ifelodun Local Government Area of Lagos State where many then were not ready to accept Christ as their personal savior but never dissuaded. He is a man of intellectual and spiritual determination who wants things to be right to some extent if not perfect. He is fondly called by his fellow admirers as a branding pastor. He is one of the Ajegunle broadminded pastors that has digitally distinguished himself from the crowd in terms of ministerial branding and others. Anyone that has visited the Flames Family Church before, it would be difficult to differentiate between the pioneer of the church and members. Since he was appointed as the chairman of Aiyetoro Pentecostal Fellowship of Nigeria chapter, many ministerial developments had taken place in a twinkle of time and ministerial growth and empowerment of pastors in attendance. In each of the PFN monthly meetings, Rev. Kingsley Albert always comes up with fact-finding topics that are important to ministerial callings in all ramifications. For celebrating his birthday at 40 is not forty days but he has able to impact positively in Ajegunle and beyond. He is a man of God who carries other pastors along in terms of progressive vision and pastoral empowerment. Rev. Kingsley Albert is a great motivational and inspirational preacher with par excellence spirit to the core. He started his ministerial calling from nobody to somebody where he developed strong evangelical ministration from the Church in Lagos camping and others with his faithful members that wholeheartedly believed his vision of calling without altercation. In Ajegunle presently, he is one of the only young pastors that has members of his church that started with him and still in his ministry till date without altar combat as some greedy ministers of God always exhibit. He is a called servant of God with family love orientation. Rev. Kingsley Albert has held several ministerial positions in the body of Christ and travelled far and wide for the gospel of Christ. He is one of the active PFN chairmen in his chapters in Nigeria. He has personally used his little resources to fund the things of God at all times. He believes that faithful giving is a foundation to success and nothing else. He is a man of God with lovely heart to make others great in life. In his recent research in Ajegunle churches, he discovered that no Ajegunle church as fondly called as 'Mega Churches' do not have up to 1500 members in their ministries, even some claimed to run two or three services on a Sundays. He also discovered that Ajegunle church pastors have not got it right in terms of evangelical growth including himself. He has many a time challenged Ajegunle pastors to wake up from their slumbers to bring souls to the body of Christ. He is one of the Ajegunle pastors that is interested with the welfare of widows and orphanages. He has been regularly empowering Ajegunle widows including one of the veritable Wazobia Widows Foundation which is pioneered by Evangelist Benjamin Igoh and others. His ministry is one of the fasting growing churches in Ajegunle with over 200 members. His 40th birthday remains the best celebrated one in Ajegunle and beyond. Rev. Kingsley Albert is a man with God's heart to the core. He has invited great ministers of God to mount his pulpit for undiluted message to his congregation time without number including the likes of Bishop Chris Matthew, Pastor Chris Charles and just mention but a few. 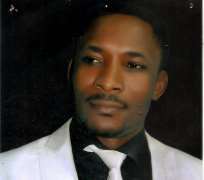 His ministry covered all spheres of life where most great Nigerian musicians are products of Rev. Kingsley Albert. He has passionate calling for youths with creative vision of life. One thing that always distinguished Rev. Kingsley Albert from other Ajegunle pastors is that t any youth that is up to 30 years, he would make sure; he or she is married with a dignified job. Hardly, you see an idle youth in his ministry without vision. He has one of the best youth ministries in Ajegunle and Nigeria. He is one of the young ministers of God in Ajegunle supporting Bishop Matthew Omodiagbe's ministerial seminar on monthly basis. He is a pastor with no inferiority complex or discrepancy. He is not carried away by the things of the world but ready to correct any erring ministers of God in Ajegunle. Rev. Kingsley Albert is from the Eastern part of Nigeria and graduated from one of the South- West Universities in Nigeria where he did Accounting to Masters Level. He has received several ministerial trainings from Christian Pentecostal Mission (CPM) under the then Pastor Victor Okorie of the Ajegunle zone. He is not just a minister of God but well- trained with the gospel of Christ. He was not called by a mistake but was called to liberate Ajegunle souls from nobody to somebody. Some members in his ministry today were nobody until they found a great and vibrant servant of God like Rev. Kingsley Albert that gave them hope of life. In his ministry, you hardly see a pastor under his calling breaking out because he cares for his members without remorse. He prefers satisfying members than his family. His beloved wife, Pastor (Mrs.) Joy Albert has one of the progressive private schools in Ajegunle with qualified teachers and state of the art school facilities with scholarship to pupils. No pupil that attends her school without testifying the quality of lectures from her teachers. As church members continuing to testify the goodness of God in their lives through the ordained servant of God, Rev. Kingsley Albert. He has ministered with great ministers of God across the country and he is an author of a praying book. He is an avid reader of ministerial books with great authors across the globe. In 2012, he received Mindset Media Excellence Awards as the best clergy of the year with a certificate and 2013 early this year; he also received another Ajegunle award. He has featured in major Nigerian newspapers and magazines in terms of interviews with cross- section of highly intelligent journalists. Rev Kingsley albert is liked by many and he has also associated himself with visionary young leaders like, Pastor Kingsley Uche, Pastor Charity Joseph, Pastor Israel Jonah, Rev Chuks Nwachukwu, Rev. O. C Emmanuel, Rev. Felix Ogadeji, Pastor Emmanuel Amasoma, Pastor Israel Patricks, Dr. Acho Nwoke, Pastor Success Harunna and others. Rev. Kingsley attaining 40 years is just the beginning of greater things to come in his life and ministry. He is pastor of pastors, father of fathers, writer of writers, speaker of speakers, brander of branders, leader of leaders, listener of listeners. preacher of preachers, motivator of motivators, teacher of teachers and others. He is happily married to a visionary wife, Pastor (Mrs.) Joy Albert and blessed with five lovely children. Disclaimer: "The views/contents expressed in this article are the sole responsibility of Godday Odidi and do not necessarily reflect those of The Nigerian Voice. The Nigerian Voice will not be responsible or liable for any inaccurate or incorrect statements contained in this article."